"Do you have any other police ID?" Here's why I've been loving this final season of The Shield. Through all the twists and turns with "the blackmail box" and the politics of gang warfare, the show has mainly continued to be about Vic (and everyone around him) lying and fronting and scrambling to cover tracks, in a situation that grows ever-more impossible. This is what The Shield has done best since Season One, showing how one bad decision begets another, until the noose tightens, and people start conceiving the most extreme solutions to their problems. I've also liked that Season Seven has included more stand-alone cases in the context of the larger narrative, after an intense season in which Vic's troubles were more or less the sole focus. Don't get me wrong: I loved the relentlessness of last season, but if you think of each season as a chapter in a book, then the Season Six chapter had a slightly different feel than the others. I think Shawn Ryan realized that too, which is why he pushed for a Season Seven, to bring everything to a more Shield-like conclusion. To that end, Ryan's been bringing back old characters, and introducing new subplots that may not seem immediately to have much to do with the main story, but are significant for other reasons. Tonight we had two of those subplots: one new, one old. Of course the biggest undercover operation this week was Shane's. Or should I say Shawn's? On the lam with Mara and Jackson by his side, Shane adopts a fake name and attempts to lay low in a motel until he can plot his next move. Unfortunately, Jackson has whooping cough, and in Shane's attempts to get his son medicine and medical treatment, he gives up his position to Vic, who's in relentless pursuit, despite Mara's warnings to Corrine that she'll ruin the whole Mackey family if Vic goes after her. The whooping cough plot turn is classic Shield, because throughout the series our anti-heroes have had to deal with home life interfering with their master plans. (Vic's troubles with his autistic children come to mind.) 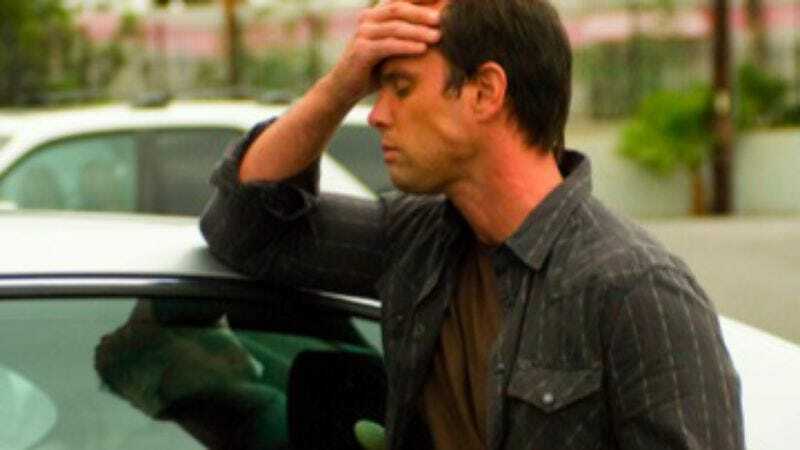 But it also provided Walton Goggins with two great little actor moments: When he pokes at the windshield to entertain Jackson while Mara's on the phone with Corrine, and when he stares blankly while Mara calls "Shawn? Shawn?" at the hospital. Shane, like Vic, is very good at getting into character to follow-through on an operation. But unlike Vic, Shane has a hard time disguising his true self for long. Shane may be a total weasel, but Goggins' performance through this whole series has been so magnificent, just in the way he can make Shane look like a cocky jerk one moment and a lost little boy the next. If anything, Ronnie may be the best liar on the Strike Team, as evidenced by his off-the-cuff explanation to Claudette as to why Shane killed Lem and is trying to kill him and Vic. Ronnie lays all of the Strike Team's misdeeds on Shane's doorstep, which just might work, if Vic can get rid of Shane before he talks. The question is: Can he? Can he really pull the trigger on Shane? And Mara, whom he pointedly claims is "not an innocent?" A couple of episodes back, when Vic and Ronnie set up Shane to get ambushed and Shane flukily survived, I couldn't tell whether Vic was frustrated or relieved–and neither could Vic, I don't think. Tonight, as he found Shane's motel hideout and closed in with his gun drawn, I honestly had no idea what he'd do if he found Shane and his family there. That's what made the scene so gripping, and even a little excruciating. It's what The Shield has always excelled at, those scenes where we're fully immersed in a situation in which everything's spinning out of control, with no end in sight. Like a car skidding on a slick road in a pitch-black night. Like a slip of the tongue that just gets worse with every attempt to make it right. Like a nightmare. -Another sick-making moment: Corrine hearing from Mara that Vic pulled a gun on her in the hospital parking lot. Aside from Corinne's own feeling of the ground slipping out from under her, I felt a little sympathy for Vic too, watching Corinne and not knowing what she was hearing. -Was that an inside joke about Tina's relative absence this season when she talks about how everything goes to hell when "a girl takes a long weekend?" -I know this was last week, but I wanted to take a moment to hail the brilliant staging of two scenes in "Parricide:" The way Shane assesses the situation and quickly bails out of The Farm, while framed over Vic's shoulder; and the way Claudette warns Vic to steer clear of the investigation from her office window, so high up that her threats seem even more ineffectual. -My wife and I had pertussis shortly after our first kid was born. Man, it wasn't fun.